Fans of Blanc and Vert have reason to celebrate, as the CPU’s of Lowee and Leanbox are finally getting figures, courtesy of figure manufacturer Vertex. 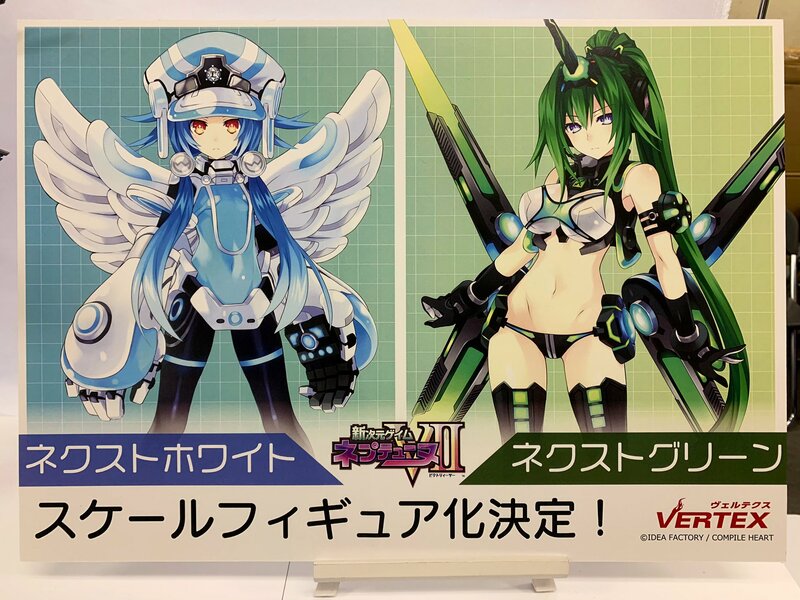 More specifically, the figures will be of the CPU’s Next Forms, in this case Next White and Next Green, which were featured in Megadimension Neptunia VII. Vertex has previously manufactured figures for Next Purple and Next Black, with the latter releasing later this month. Next Purple released in August 2018. Previously, Blanc and Vert had no figures to their names. Previous Hyperdimension Neptunia figures were only made for Neptune/Purple Heart, Noire/Black Heart, Nepgear, Uni and even Orange Heart got one. After many years, the nations of Leanbox and Lowee are finally getting some love. There are currently no prototypes available for the Next White and Next Green figures. Are you excited to finally see some figures coming out for these two CPU’s?